This is where eggplant parmesan meets up with lasagna. No noodles, but lots of layers! Some people might be thrilled to get rid of the pasta, but, I can go either way. 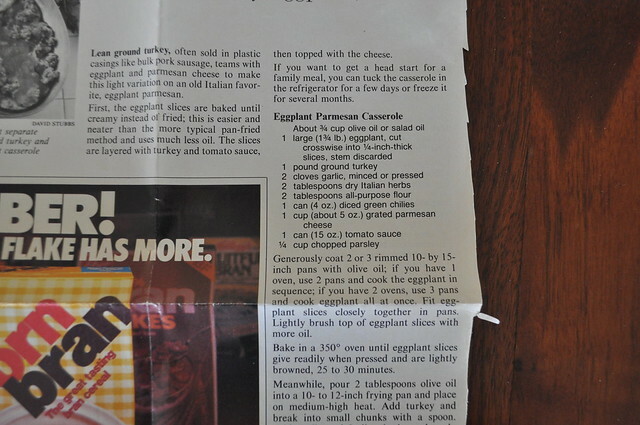 The downside of this recipe is: It is just as much work as lasagna. In my case, that usually means, it is not likely to be repeated because of the time required and the dishes dirtied. But I might have to make an exception on this one. It was really good! 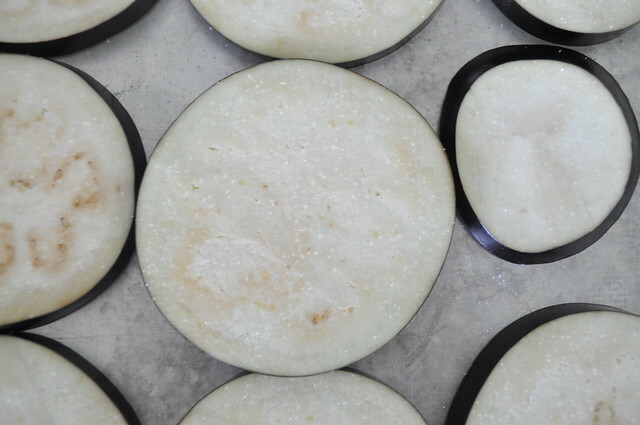 Spread the eggplant on a cookie sheet and sprinkle liberally with salt. After ten minutes, blot with a paper towel. Flip to the other side and repeat. Oil 2 or 3 rimmed cookie sheets with olive oil. 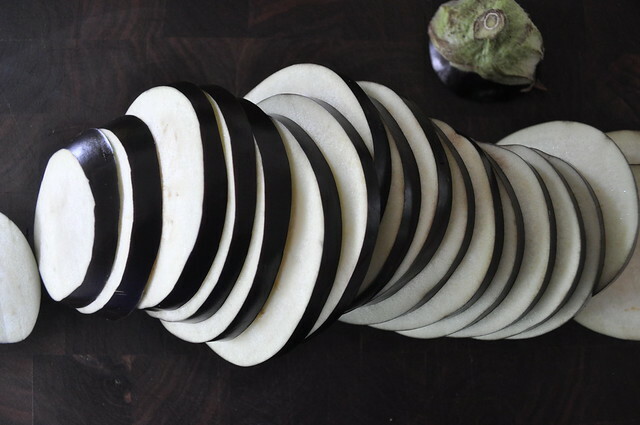 Fit eggplant slices in a tight single layer in pans. 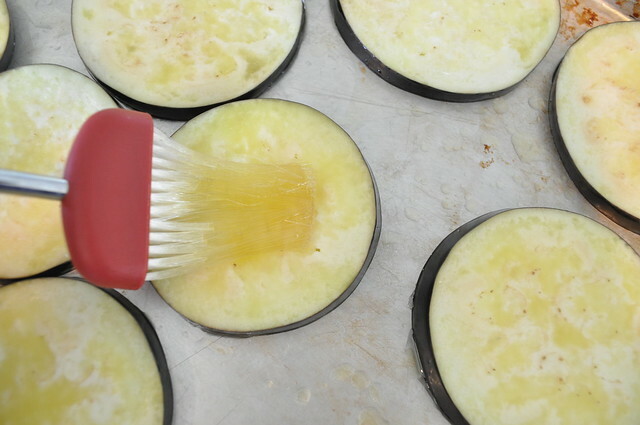 Lightly brush top of eggplant slices with more olive oil. 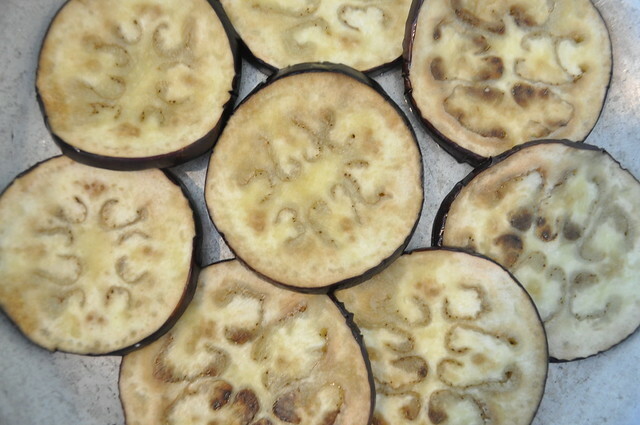 Bake in a 350 degree oven until eggplant slices give readily when pressed and are lightly browned, 25 to 30 minutes. Meanwhile, pour 2 tablespoons olive oil into a frying pan over medium-high heat. 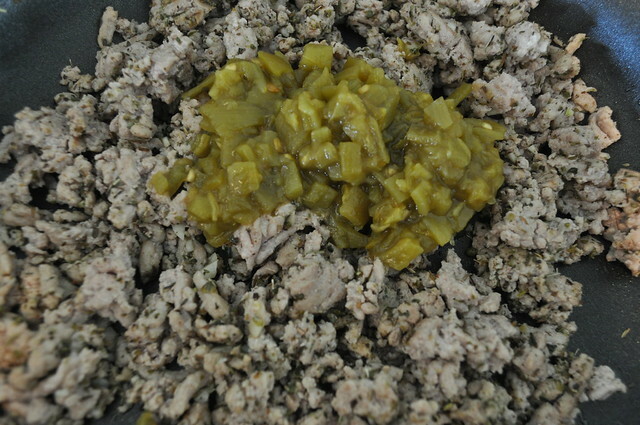 Add turkey and break into small chunks. Add garlic and Italian herbs and cook, stirring occasionally, until juices from turkey evaporate and meat is well browned, about 10 minutes. Sprinkle flour over turkey and mix in. Then add chilies and cook, until mixture looks very dry, about 5 minutes. Remove turkey from heat and stir in half the cheese; set aside. 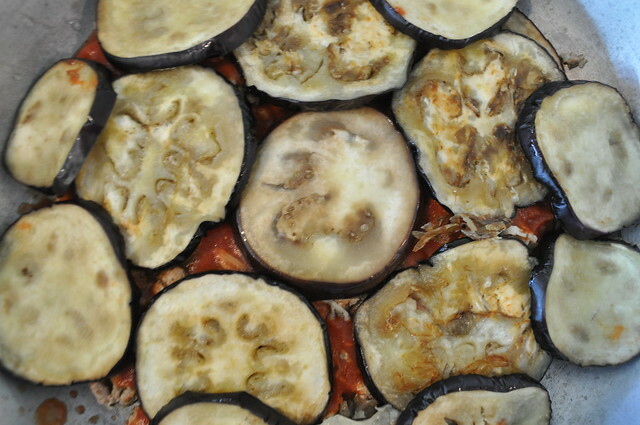 Cover the bottom of a shallow 2 to 2 1/2 quart casserole with half the eggplant. 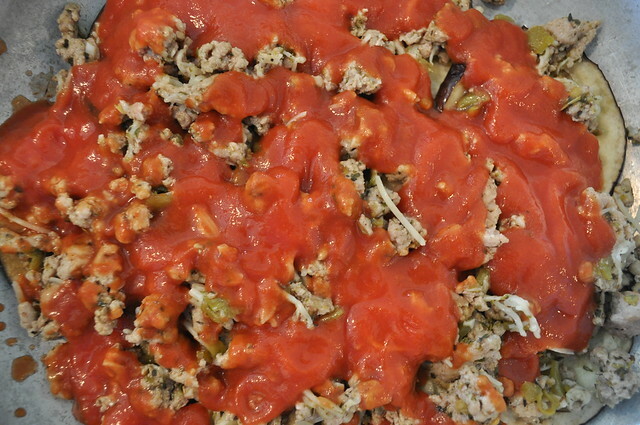 Cover eggplant with half the turkey, and spoon half the tomato sauce over the meat. Repeat layers. Bake the casserole in a 375 degree oven until hot in center, 45 minutes to 1 hour (1 to 1 1/4 hours if chilled). Sprinkle the salt liberally. When you see beads of moisture it is time for the paper towel. 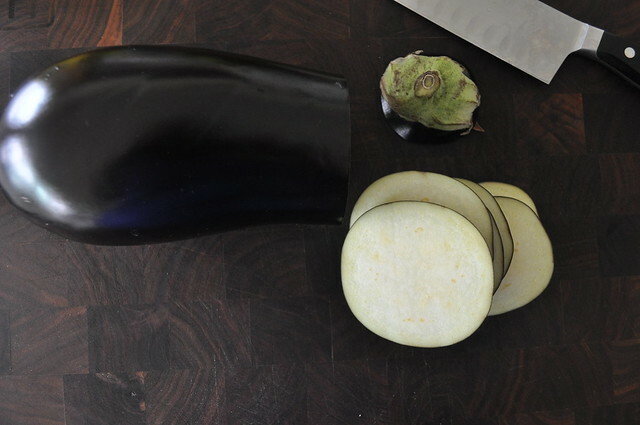 Arrange the eggplant then brush with the olive oil. Once it has roasted it’ll have a much darker color, like these. 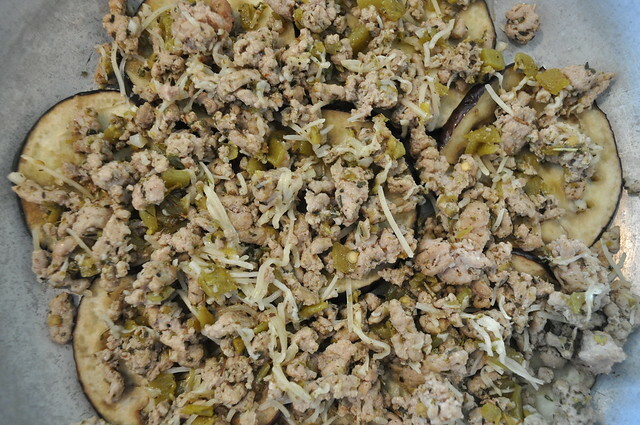 First layer of eggplant, then the turkey, chili, cheese mixture. 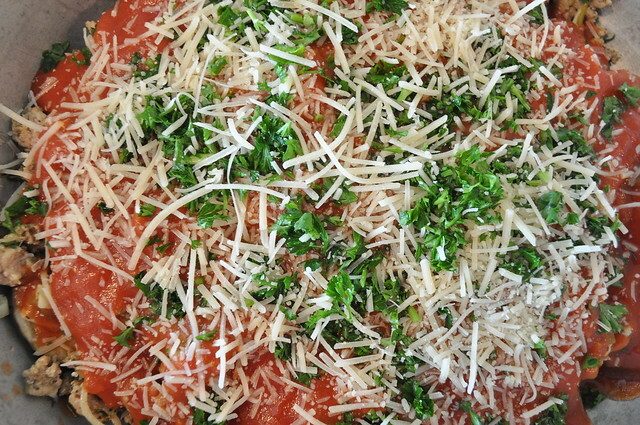 Top the last layer with parmesan and parsley. 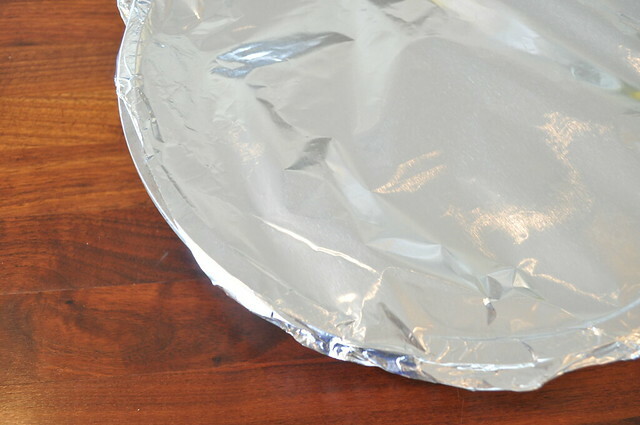 Cover with foil and bake, refrigerate or freeze. 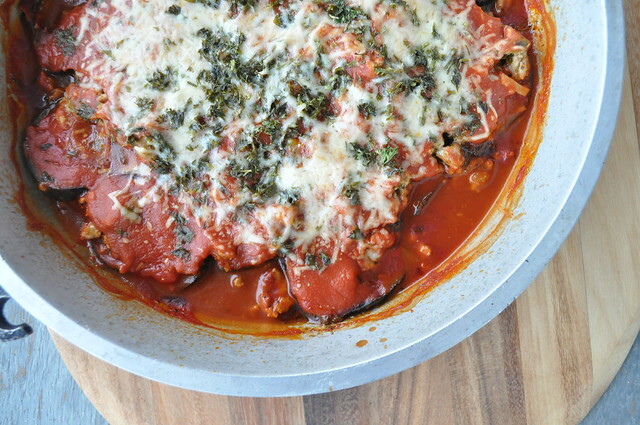 If you have a favorite eggplant recipe, please share…I can’t get enough of it! Looks good BUT probably too many steps for me.